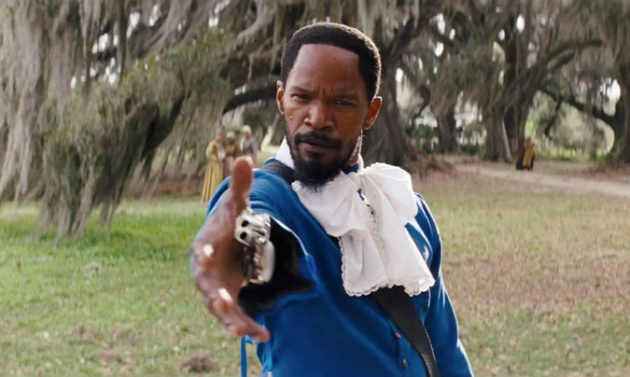 The film starring Jamie Foxx, Christoph Waltz and Leonardo DiCaprio is riddled with the N-word, but that has not turned off African American audiences. Also in Thursday's news round-up, the Senate Intelligence Committee is set to investigate CIA contacts with the Zero Dark Thirty filmmakers; DiCaprio is headed for Santa Barbara fest honors; and John Turturro doc will bow NYC non-fiction series. The debate about the hefty use of the N-word has not turned off the African American audience. Quentin Tarantino's latest film brought out an audience that was 42 percent black on Christmas day and is consistently pulling in 30 percent. Django Unchained has grossed $77.8 million in North America and may surpass the $120 million made by Inglourious Basterds in 2009, THR reports. Senate Intelligence Committee is reviewing CIA records of contacts agency officials may have had with director Kathryn Bigelow and screenwriter Mark Boal, but the committee does not have plans to interview the filmmakers. The CIA's acting director Michael Morell also criticized the movie as "not a realistic portrayal of the facts," Deadline reports. Henry-Alex Rubin's Disconnect will open the 28th Santa Barbara International Film Festival. Starring Jason Bateman and Hope Davis, the film explores the way digital technologies, which aim to bring people together, increase the emotional distance between them. Leonardo DiCaprio will also be honored opening night with the festival's American Riviera Award on February 1st. Past recipients include Martin Scorsese, Sandra Bullock and Mickey Rourke, Deadline reports. The Kremlin has given Russian citizenship to French actor Gerard Depardieu. Depardieu recently said he'd give up his French passport after the government criticized his decision to move abroad to avoid paying higher taxes, BBC reports. Rehearsal for a Sicilian Tragedy, a documentary that follows actor John Turturro on a journey to his maternal homeland, Sicily will open the 22nd season of Stranger Than Fiction, the weekly documentary series at IFC Center January 8th. The series, which continues through February 26th, features a Q&A with the filmmaker and other guests. For a look at the schedule, visit their website. Russia is used to harbor criminals and thieves, as long as they are famous. A VIP table in Moscow club and a two young models on each side is guaranteed. Oh wait, he'll never be able to see them because he can't turn his head or his body to the sides. He can only lie down now, looking up and peeing underneath himself. Time savings and money is great industry.